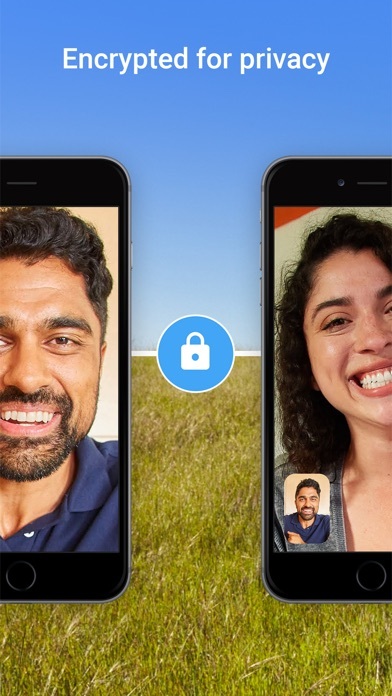 Google Duo is the highest quality video calling app*. It’s simple, reliable, and works on smartphones and iPad. 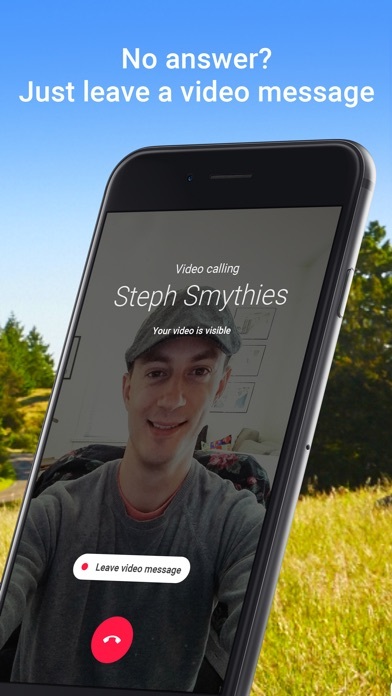 Features: Simple interface Pick a contact and jump right in, with a simple interface that makes video calling as easy as one tap. 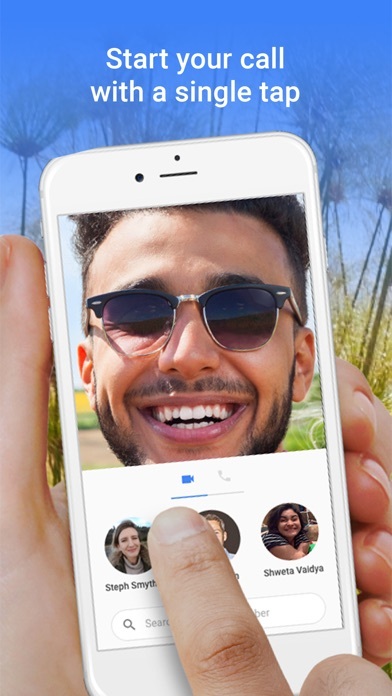 The highest quality video calling app* Experience more reliable video calls with excellent video quality whether you’re on Wi-Fi or on-the-go. 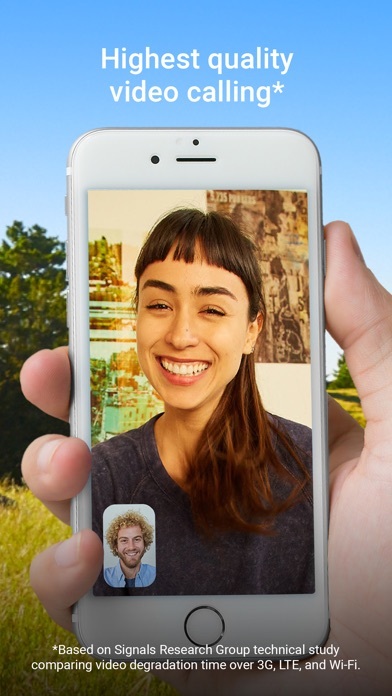 Works Cross-Platform Duo works on iPhones, iPads, iMacs, and other mobile platforms so you can call and hangout with friends and family using just one app. 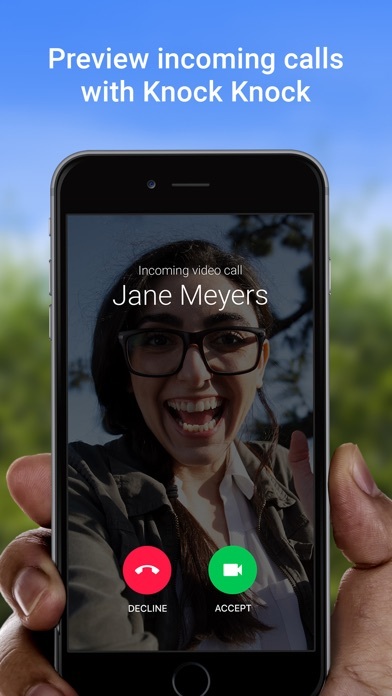 Knock Knock See who’s calling before you pick up with a live video preview. 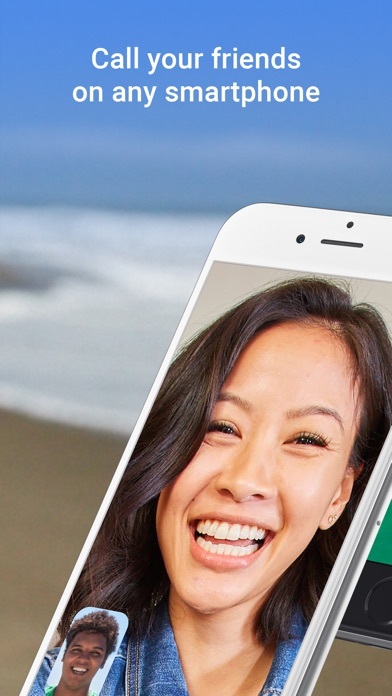 Video Messages Want to share a quick moment between calls or friend can’t answer? No problem. 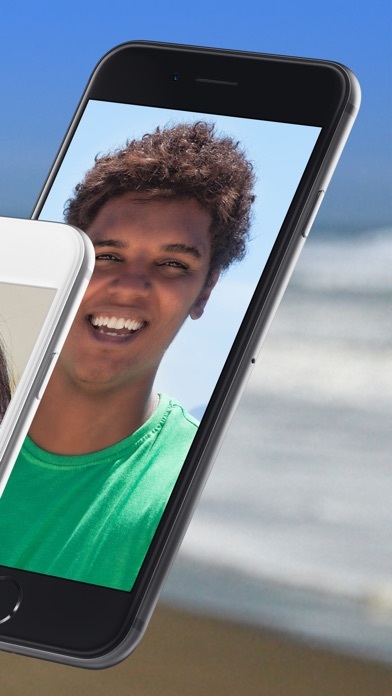 Leave a video message to capture any moment. 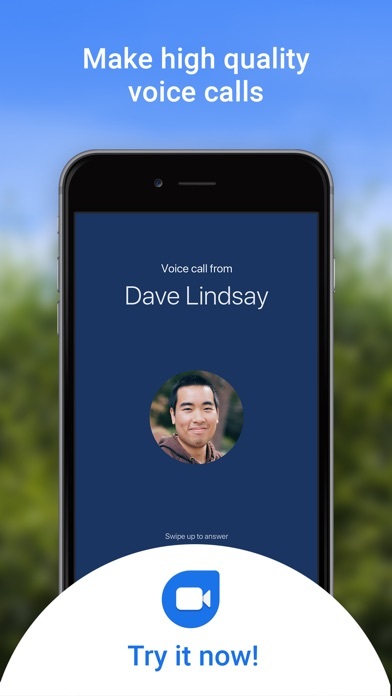 Voice Calls Make voice-only calls to your friends when you can’t chat over video. *Based on Signals Research Group technical study comparing video degradation time over 3G, LTE, and WiFi. **Data charges may apply. Check your carrier for details. Connection was great. 5 stars for this app. When I called my friend I could not hear her and I had all ready allowed the app to use my mic. I like it because I can chat with friends and FaceTime them. I hate this app so much. It makes me want to throw up. This app is super crusty and you should not download it.